Asus has launched two new Eee Top PCs, including a Full HD PC with Blu-ray support and a half terabyte drive. 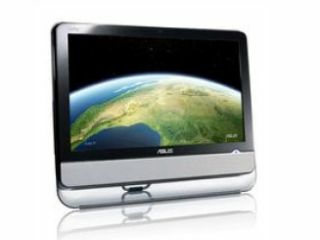 The cheaper ET2002 model has 2GB RAM, a 1600x900-pixel 20-inch touchscreen display and a DVD drive, costing £560. The larger, flagship ET2203 has 4GB RAM, a 1920x1080 21.6-inch touchscreen screen and Blu-ray player, and will set you back £820. The top-end Top is powered by a 2.2GHz Intel Core Duo chipset, while the entry level model makes do with a 1.6GHz Atom Duo Core. Both devices run Windows 7 Premium, have 3W stereo speakers, a 1MP webcam, microphone, Wi-Fi, memory card slots and a single HDMI input for linking up a console or camcorder. They also come with applications to suit their position as living room PCs. Eee Memo provides a fingertip-controlled handwritten 'sticky note' interface for communicating with the rest of the family. Eee Cam helps users get to grips with the 30fps webcam and a Eee Bar adds another toolbar for managing it all. The pricier ET2203 also sports a Total Media Centre: a one-stop touch- enabled interface with which to browse, view and organise multimedia collections. If the new Eee Tops tickle your fancy, you won't have long to wait - they're both available from the official Windows 7 launch date of October 22.